If you are an east coaster you noticed a distinct fall breeze this weekend. 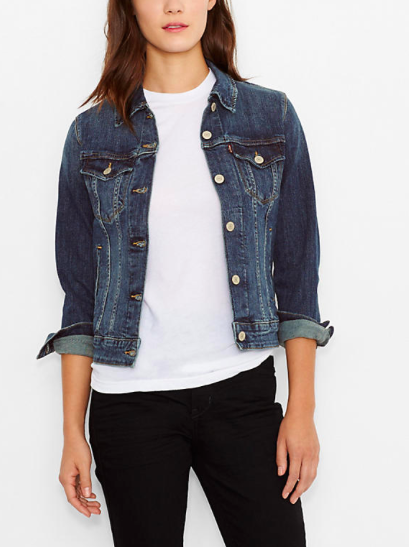 It took me a bit by surprise and I was searching for my jean jacket to layer on top of my outfit. This search was not a good one, not because my closet is a mess (it is) it's because I don't have a jean jacket. I know. So today, let's go shopping. We've got to start with the classic. Levi's. You can't go wrong with this beauty. Looking for a faded option? This one is on major sale. How about something totally different. 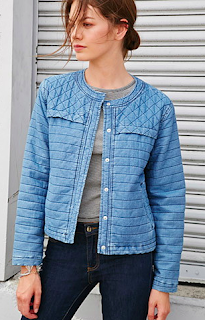 Denim and quilted, so unexpected. 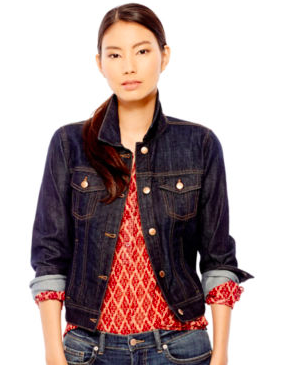 A very chic dark wash that you can wear with a jumpsuit on the weekends or a corduroy skirt. 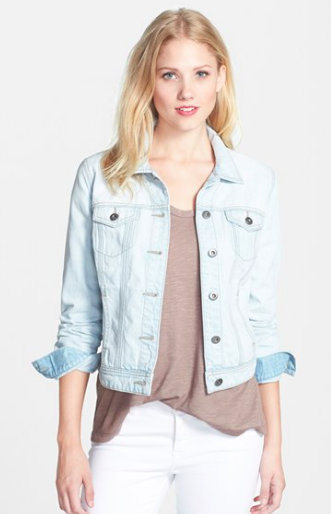 I really love denim jackets for fall. They are easy, you can throw them in the wash, and they are great for layering. Have fun with a thin fringed scarf or grab some pins and add a quirky twist to your jacket.